So, I've been working on this project all summer that I've had to keep secret and it's been killing me! Well, the designs are finally complete and now I can spill the beans . . . 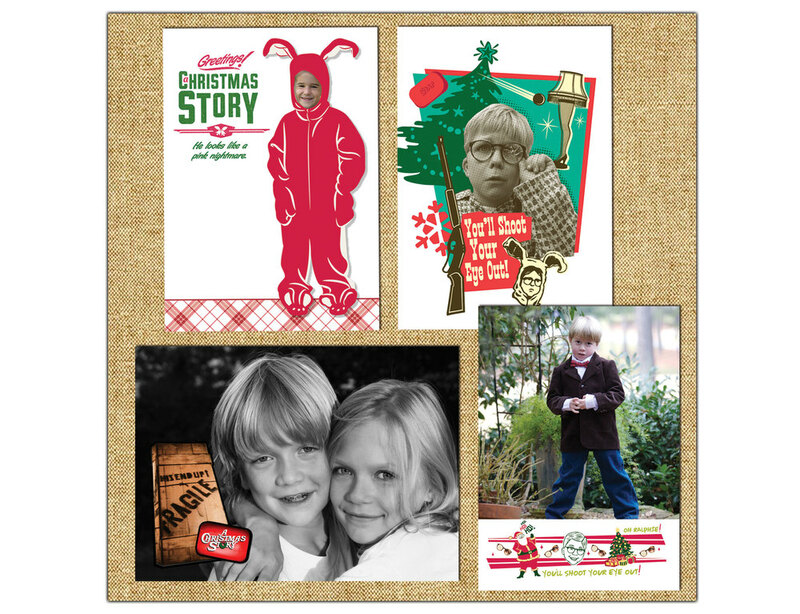 I've been working on a stationery line featuring the images and characters from the famous movie, A Christmas Story! 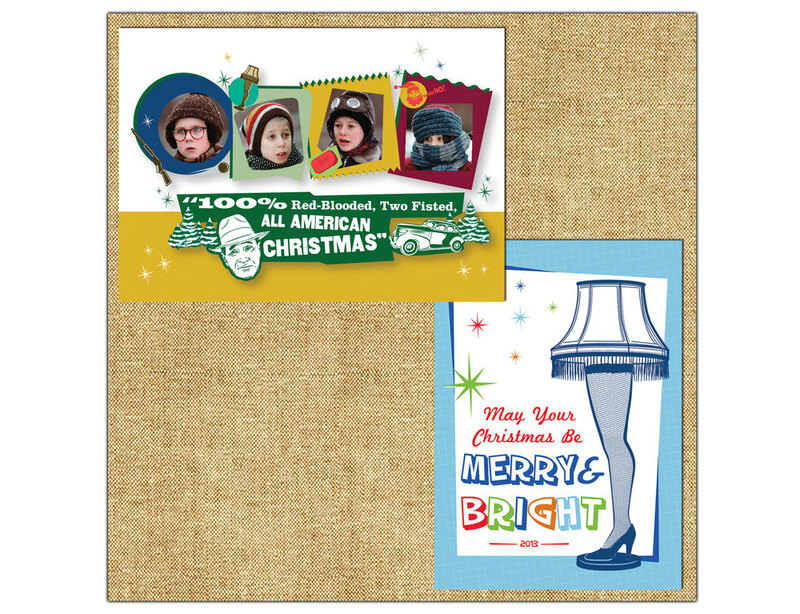 Yes, the kid everyone loves, Ralphie, and all of his family and friends including his dad's 'Fra-Gee-Lay Leg Lamp' and the infamous 'I Triple Dog Dare You' scene. 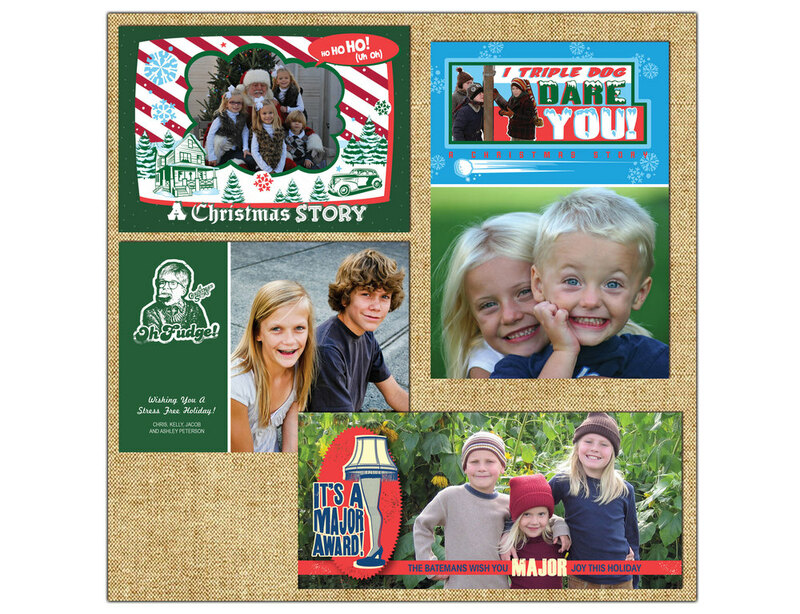 Warner Bros. was kind enough to let me in to their archives to pull some of these fabulous images in order to create this line of stationery including holiday greeting cards, holiday photo cards (yes, you can insert your own photo in to that famous Pink Bunny suit! 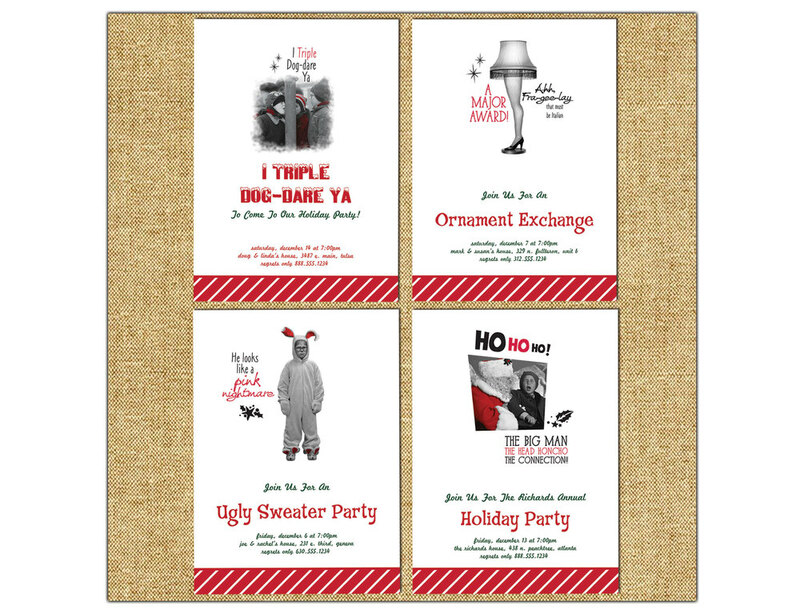 ), holiday party invitations, and adult birthday party invitations. Designing these cards was so much fun. 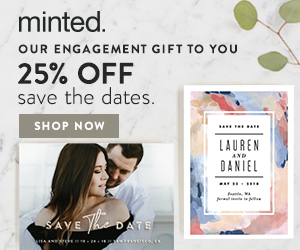 It made me LOL (literally!) every time I came across a new image or character from the movie that I forgot about. I had to abide by all of the brand standards that Warner Bros. requested yet each individual design still had to be the right amount of cheesy . . . it was great!